You would think with a title like “marshmallow-y goodness” this post would be about a recipe that revolved around marshmallows, right? Well in this case, you’d be wrong. We won’t even get to the marshmallow part for a while, but once we do it will make perfect sense. Stick with me here folks. Last week there were two birthdays that I wanted to bake for and since it was for two separate people and the birthdays were celebrated in two separate places and because you can’t nicely cut a birthday cake in half and take one half to one party and the other half to the other party I opted to simplify things and make cupcakes instead. Red velvet cupcakes. I hadn’t made them in quite some time and they sounded good– plus, they’re usually a crowd pleaser so it seemed like a safe bet. My compromise was to use less red food coloring than the recipe called for. The result was more of a burgundy-colored cupcake which I found to be quite aesthetically pleasing. And no one questioned what kind of cupcakes they were– there was just enough red to them. Now here is where the title subject comes in… Years ago I was doing my usual routine of watching the Saturday morning Food Network lineup and Paula Dean made red velvet cake with a cream cheese frosting and to that cream cheese frosting she added melted marshmallows. Eureka! Paula’s recipe calls for one cup of melted marshmallows but if one cup is good two is even better, right? The answer is yes, yes two cups of melted marshmallows in cream cheese frosting is supreme. And to continue with my kick of substituting mascarpone cheese for cream cheese in frosting I tried that here too. It’s to die for. Heck, I even forgot to sift my dang cake flour before mixing so the cake from my batch of cupcakes was a little dense but the heavenly frosting more than made up for it. No complaints whatsoever from the birthday peeps! Preheat oven to 350 degrees. 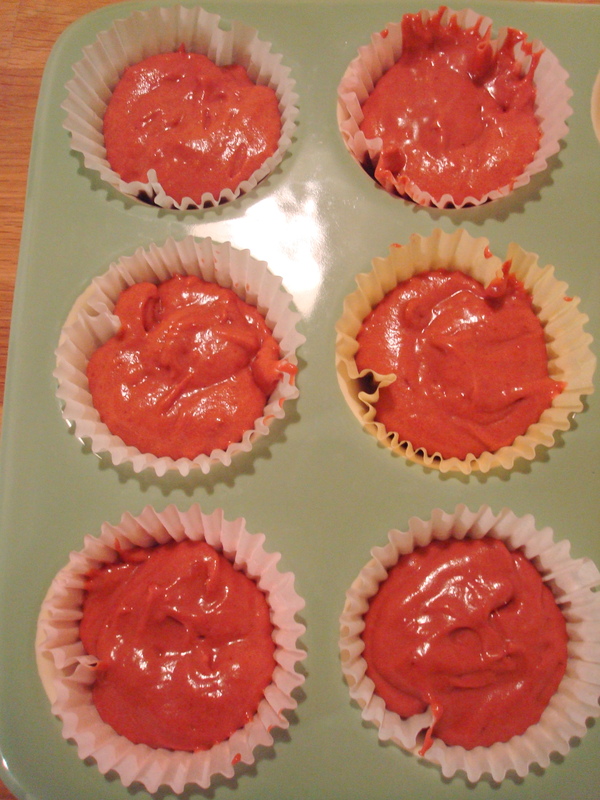 Line muffin tins with muffin cups (this recipe makes about 18 cupcakes) and set aside. Sift sifted flour, cocoa powder, baking soda, and salt into medium bowl. Whisk buttermilk, food coloring, vinegar, and vanilla in small bowl to blend. 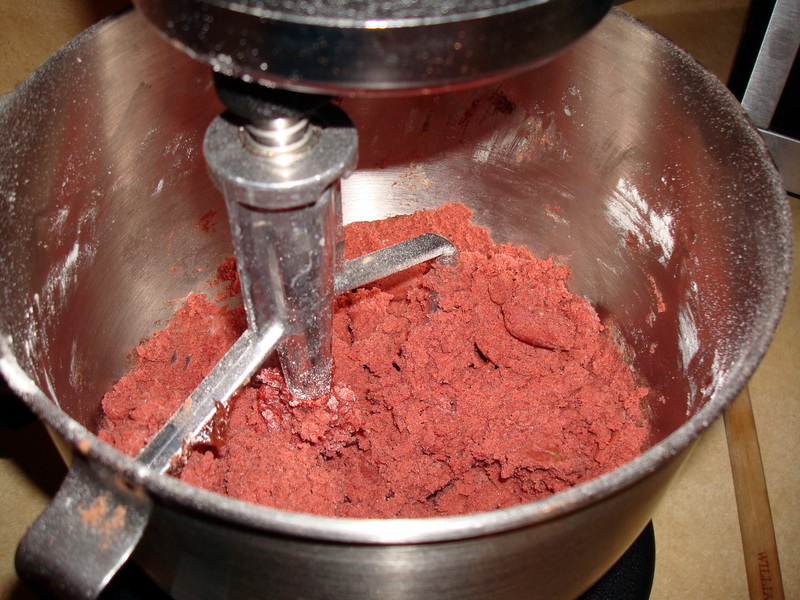 Using electronic mixer, beat sugar and butter in large bowl until well blended. Add eggs 1 at a time, beating until well blended after each addition. Beat in dry ingredients in 4 additions alternately with buttermilk mixture in 3 additions. Pour batter into prepared muffin cups. 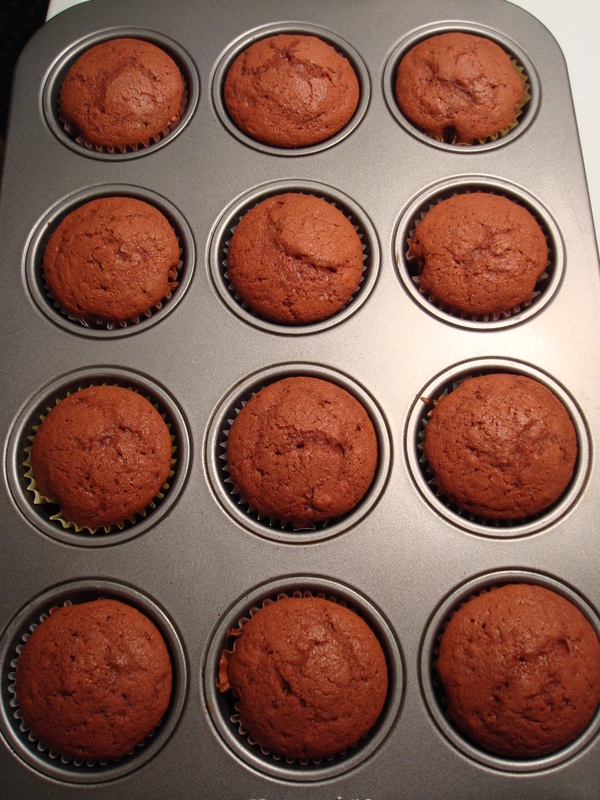 Bake for 15 to 20 minutes, until the cupcakes spring back when touched. Remove from oven and let cool for about 10 minutes, then turn the cupcakes out of the tins and onto a rack to finish cooling completely. Frost with Mascarpone Marshmallow Frosting (recipe below). 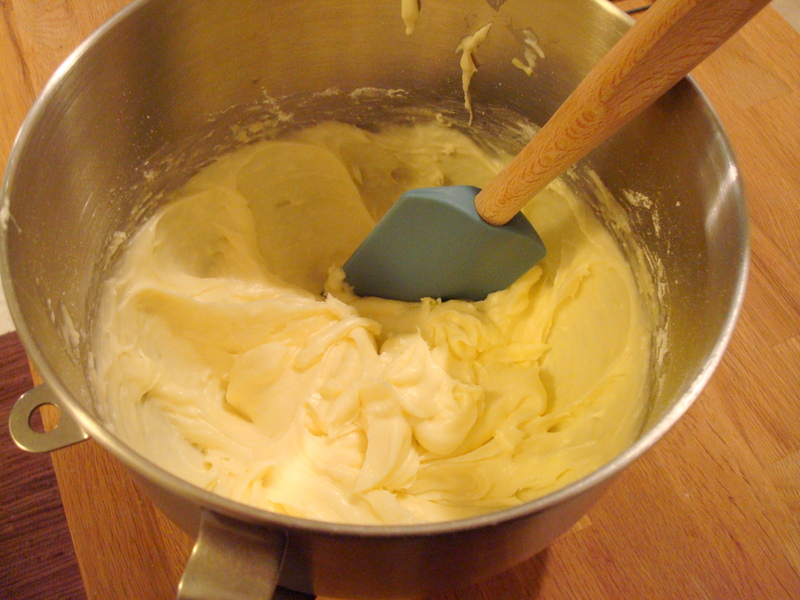 Blend mascarpone cheese and butter together in a mixing bowl. Add marshmallows and confectioners’ sugar and blend. Here you go again…making an ultimate rich scrumptious dessert, and giving me yet one more reason to keep cheese in my life…not to mention mayweed NH Mel oppose. Oh, yum! That last garble should have read: marshmelloowss …misspelled for effect. Yes, use beet juice. 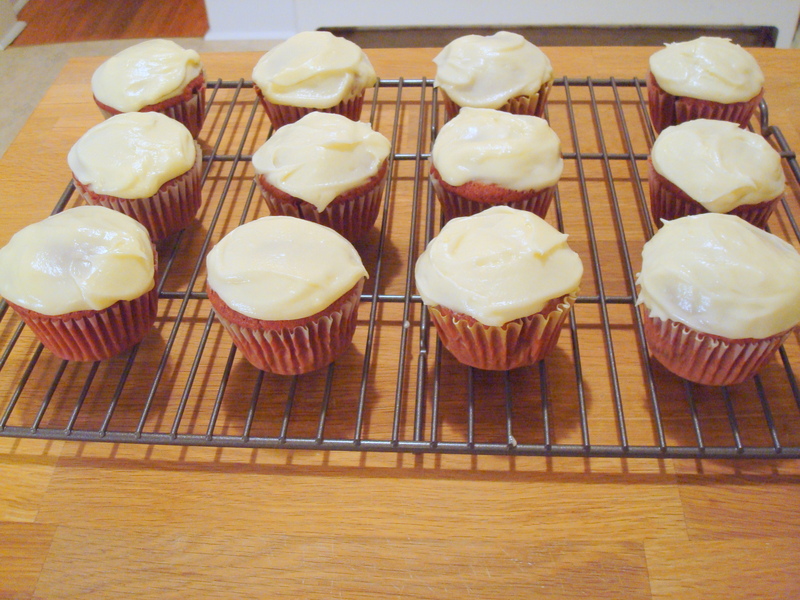 Repeat, use beet juice:-) Mascarpone based frosting is a nice left-of-center move. Hmm, maybe your readers could benefit from a quick study of how to make home-made marshmallows? And since I know you approve of those over the commercial version, it could translate into making a better (if that’s possible) frosting.